Renewals of Glengavel (Dungavel) Season Tickets. If you want to join the waiting list you may get membership as undoubtedly not everybody will renew & this year we have a few season tickets available – we will have tickets to buy from 29th January. If you wish to renew can you please renew by March 15th – if you do not renew by 15th March we will have to offer your position to anybody on the new waiting list. We are trying to contact all our exisiting members to give them the opportunity to maintain there membership. Glengavel (Dungavel) Season Tickets are available from the Committee now!!! 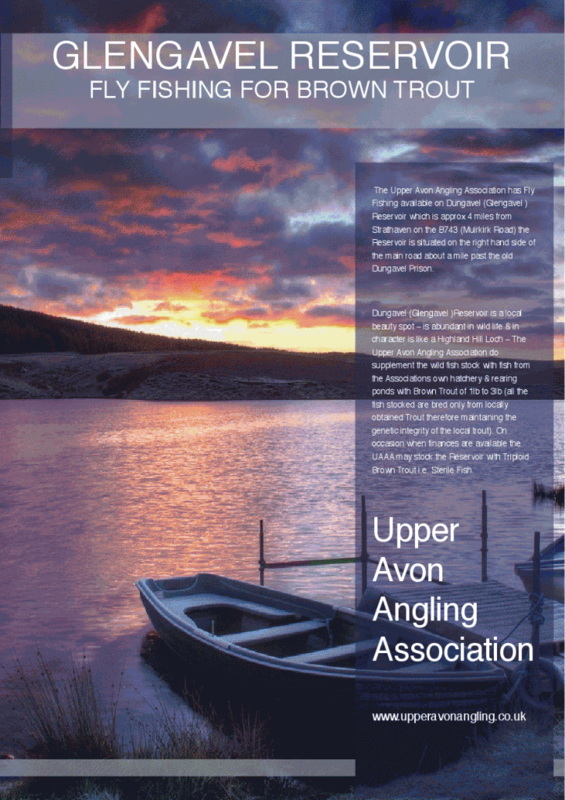 We have a waiting list – if you are not currently a member & you wish to join Glengavel please email all you details to upperavonangling [at] gmail [dot] com details required are Full Name / Full Address including post code / contact telephone number. 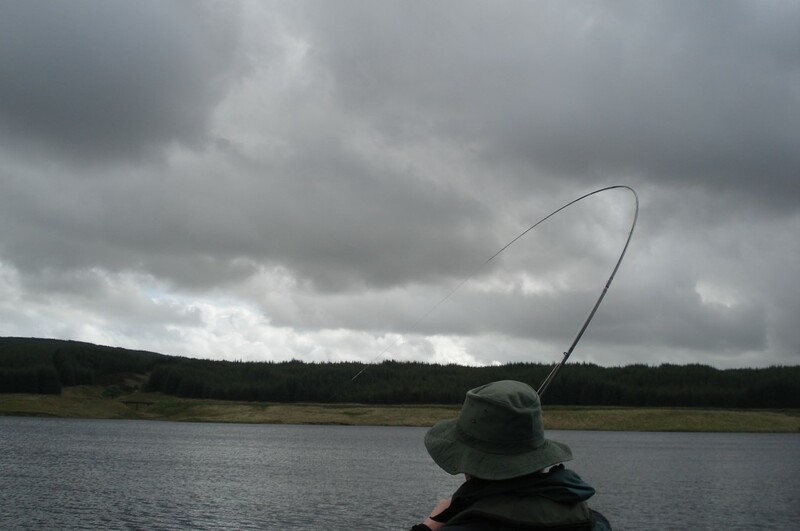 The Upper Avon Angling Association has Fly Fishing available on Dungavel (Glengavel ) Reservoir which is approx 4 miles from Strathaven on the B743 (Muirkirk Road) the Reservoir is situated on the right hand side of the main road about a mile past the old Dungavel Prison. Dungavel (Glengavel )Reservoir is a local beauty spot – is abundant in wild life & in character is like a Highland Hill Loch – The Upper Avon Angling Association do supplement the wild fish stock with fish from the Associations own hatchery & rearing ponds with Brown Trout of 1lb to 3lb (all the fish stocked are bred only from locally obtained Trout therefore maintaining the genetic integrity of the local trout). On occasion when finances are available the UAAA may stock the Reservoir with Triploid Brown Trout i.e. Sterile Fish. 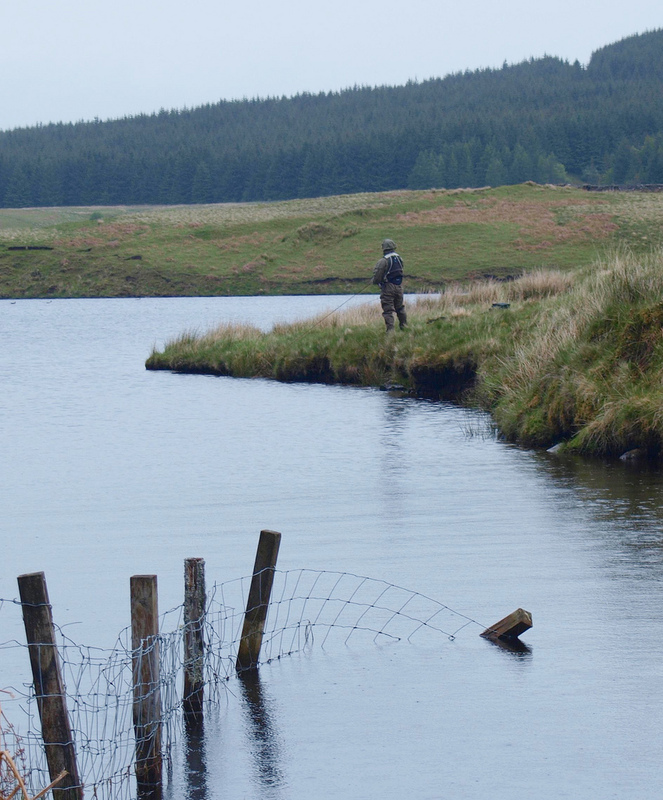 Typical of any Hill Loch Type of water you need to expect to walk for your fishing over all sorts of ground – so come prepared. We do have the Scottish “Midge” so come prepared with your “Avon Skin So Soft” which seems to be the best repellent – however due to the position of the water there is nearly always a wind or a breeze which keeps them at bay. PLEASE NOTE: It is now a condition of your permit that you sign in the book complete with your membership number when you commence fishing at Glengavel – this is so we can monitor how many anglers are on the water. We have implemented this as an anti poaching & Health & Safety measure. We have introduced for 2012 a car park pass which will also help us identify unauthorised cars in the anglers car park. Give Dungavel (Glengavel )a try it can give you a wonderful day out in the wilderness & it is only 10 minutes from Strathaven. The fishing can vary from challenging to quite easy depending on the weather conditions as the reservoir sits at approx 900ft above sea level. 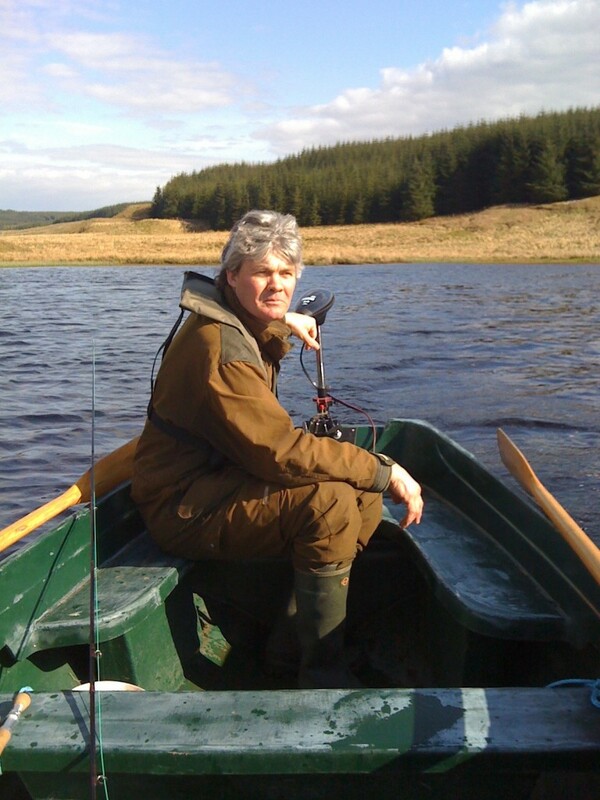 The most successful methods are using traditional loch flies e.g. Peter Ross – Wickhams Fancy – Bibio – Invicta – Dunkeld – Dung Fly – Mini Muddlers etc. Most locals use a cast of 2 or 3 though more modern techniques work as well – you can expect to catch several of the local Brownies which tend to run to 3 to the 1lb with a couple of stocked fish as well & if you very fortunate one of the bigger local “Ferox” which for most of the year are to be found 30ft down in the water – however every once in a while they will pop their noses up to take a fly – in recent years fish of 8lb plus have been caught & one local angler managed 2 of over 3lbs in 2 casts at the end of an evening.